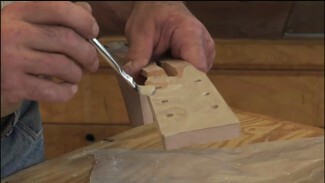 Edge gluing comes into play in a variety of woodworking projects, and is an aspect of any project that can reveal the skill level of the craftsman who builds the project. A dead flat panel is impressive and indicates a high quality project. 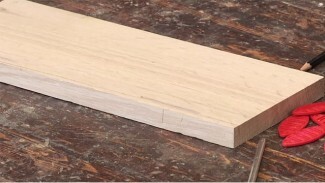 But let’s face it; if the panel has gaps or noticeable peaks and valleys, then it reflects poorly on the person who performed the edge gluing. 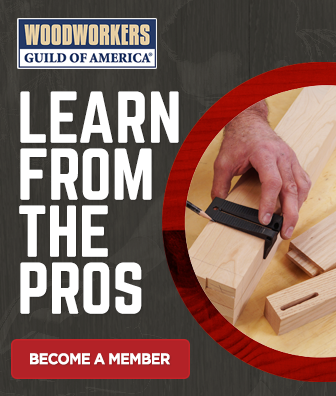 The skills to create the perfect edge joint are important to learn, and an important aspect of getting a tight joint across the full span of an edge joint is to understand how to work with the jointer. 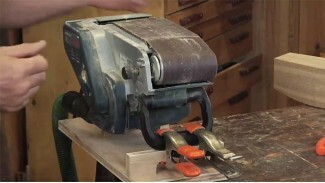 Most problems with edge gluing come down to the technique used at the jointer. There are a couple key considerations that should be taken into account to help you achieve perfection in edge gluing. A few thousandths matter, so get a high quality square and carefully ensure that the jointer’s fence is perfectly square to the bed. If it is not, take your time and dial it in. Close counts in horseshoes, but not edge gluing! However, you’ll be taught tricks in this video that allow you to work around a slightly out of square fence. The best way to get a dead flat panel is to alternate the face that is placed against the fence so that if there is any deviation from square, the angles will complement one another and a flat panel will be achieved in spite of the imperfection. 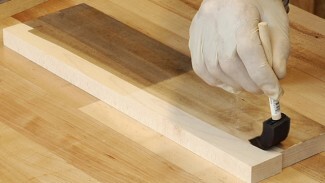 Once you’ve achieved the perfect joint, it is equally important to choose the right wood glue to hold it together. With the right jointing technique and the right wood adhesive, you’ll soon be gluing up panels that look great and could last for decades, or even centuries.